Social media has been a powerful arena for online marketing in the past few years. But since there are so many social networks available on the web, it’s essential to figure out which of these are the perfect fit for your business. In a series of posts (part 1 here, part 2, part 3) I’ll be doing a brief overview on the 10 most efficient social networks nowadays. And you can pick the ones that look right for you! 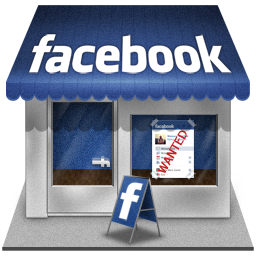 In Facebook you may easily create a business page for your company. Once your page is created, users can ‘like’ it (i.e. subscribe for your posts) and your news will appear in their Newsfeed. Facebook interface makes it easy for your fans to like/share your posts and when they do, their friends may see this activity thus putting your brand in front of a bigger audience. Some businesses create Facebook groups rather than pages for their business. The benefit of the group is the ability to send messages to all group members. But it has many visibility disadvantages compared to the page, so – opt for a business page instead. Expanding your brand recognition. Getting the word out about company news, offers, events and new products. Strengthening relationships with customers. Expanding your customer base. Driving traffic to your website or blog. Facebook is where you can loosen the tie a bit – don’t be afraid to be funny and original. There you can post announcements related to your business, inspirational quotes, links to your blog posts, photos from events you & your peers attend, it’s also a good place to promote webinars, podcasts or offline events you organize. Facebook is also the right place to gather feedback on your products/services and start a more informal conversation with your current and potential customers. Some people might also use your page for support or inquiries – so make sure there’s someone who can promptly reply to questions regarding your business. Varies for brands and media companies. Brands should typically not post more frequently than once/twice a day. Media companies on the other hand have much more space. They can post different stories even several times a day and still their content will be very engaging. A useful tool is TabSite – allows you to create different tabs for your promotional activities – contests, deals, sweepstakes, reviews, etc. The basic service is free, including 2 tabs with ads & 4 widgets. Twitter has proven to be a great source of information for its users. What’s specific here is that posts are limited to 140 characters and can be appended hashtags (#). In Twitter those users who are interested in your brand can start ‘following’ your account and receive all your tweets in their feed. It is easier to gain followers, but they are not as targeted as on Facebook. Promoting your business by focusing on how your products/services benefit your customers; establishing a connection and starting quick chats with customers or potential business partners; driving traffic to your website and/or blog. In Twitter you can show off your humor, wit and know-how. What most people seek there are educational and entertaining posts, so use this kind of messaging for Twitter. 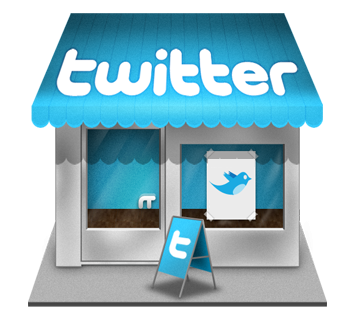 Your tweets can link to web content (blog post, website page, PDF document, etc) as well as to a photograph or video. For a new Twitter account, the recommended tweets per day are from 3 to 5. For already developed accounts – from 5 to 10 tweets per day. Plus you can have 10 retweets a day beside your usual number of tweets. TweetDeck is currently the most powerful Twitter tool. With TweetDeck you can monitor multiple Twitter accounts (personal and/or business), you can schedule tweets, create searches to track topics, events and hashtags, and more. What are the next social media channels in the top 10 list? Find out in part 2 of this blog post!